Six years of podcasting all on one page! Because iTunes only shows the most recent 100 episodes of our beloved Animation Addicts Podcast, this post will help make it easier to take a trip down memory lane! Enjoy! Episode 2: The Iron Giant – Hog Hug! Episode 3: Rock-A-Doodle – Animation, It’s Music to My Ears! Episode 13: Brave Review Part 1 – Spoiler Free! Episode 19: Interview with LAIKA’s David Vandervoort + Fan Mail! Episode 20: Aladdin – Take Off Your Clothes? Episode 24: The Nightmare Before Christmas – Meet the Thunder Tube! Episode 28: The Prince of Egypt – Haboob! Episode 30: A Goofy Movie – It’s SO Nineties! Episode 33: The Adventures of Tintin – Relax, I Interviewed A Pilot Once! Episode 41: Monsters University – We’re OK! Episode 46: Meet the Robinsons – ‘Blame You’ Wins Hands Down! Episode 49: The Incredibles – Meet the RotoSUPERS! Episode 55: Frozen – She’s Flawless…with Flaws! Episode 58: Cats Don’t Dance – It’s Big & Loud! Episode 60: The Lion King – It’s SFX! Episode 61: The Last Unicorn – Give Us More Pirate Cat! Episode 68: One Hundred and One Dalmatians – Do You Got Any Chloroform? Episode 76: Sleeping Beauty – Make It Pink! Make It Blue! Episode 79: An American Tail – How Many Bands Have a Thunder Tube? Episode 80: Big Hero 6 – Don’t Even Compare It to Frozen! Episode 94: ‘The Brave Little Toaster’ – Let the ‘Toy Story’ Comparisons Begin! Episode 97: ‘Peter Pan’ – It’s the Peyote! Episode 98: ‘Inside Out’ – Is It Really for Kids? Episode 99: ‘Minions’ – It is What It is, Just Go with It! 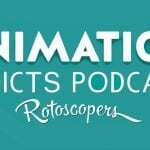 Episode 100: The Rotoscopers 100th Episode Spectacular! Episode 103: ‘Fantastic Mr. Fox’ – Are You Cussing at Me? Episode 108: ‘The Peanuts Movie’ – Are There ‘Peanuts’ Brand Peanuts? Episode 109: ‘The Good Dinosaur’ – Brought to You By Montana! Episode 113: ‘The Boxtrolls’ – Oh, Mason, Where Art Thou?! Episode 115: ‘A Bug’s Life’ – Oh, Morgan, Where Art Thou? Episode 116: ‘Kung Fu Panda 3 – It’s Inner Peace, Man! Episode 118: ‘Zootopia’ – Vote Mason for President! Episode 122: ‘The Jungle Book’ – Bagheera! Episode 130: ‘Kubo and the Two Strings’ – Who’s the Monkey? 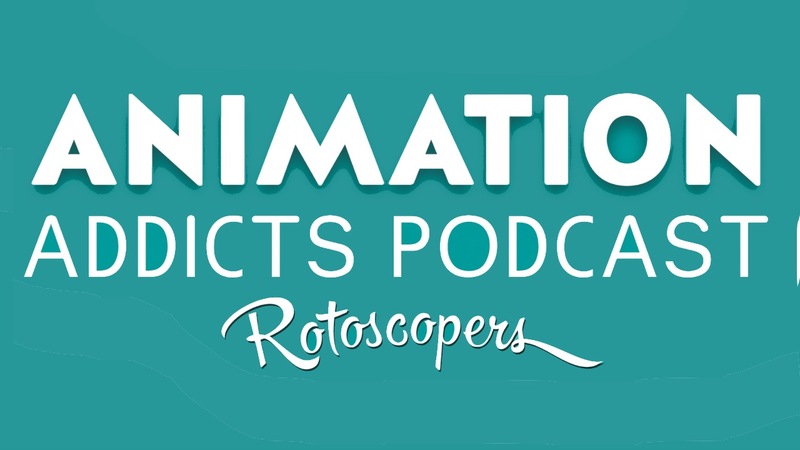 Episode 132: ‘Storks’ – RotoPack, Form a Podcast! Episode 133: ‘WALL-E’ – Alright, We’ll Recycle Already! Episode 138: ‘The Emperor’s New Groove’ – Kronk Out! Episode 142 – ‘Happily Ever After’ – Why Laser Beams from the Eyes? Episode 143: ‘Atlantis: The Lost Empire’ – Can We Get Helga Workout Videos, Please? Episode 144: ‘Dumbo’ – Worst. Circus. Ever. Episode 145 – ‘Joseph: King of Dreams’ – Dang it, Wrong Musical! Episode 151: ‘My Neighbor Totoro’ – Cat Bus. Why Didn’t I Think of That? Episode 153 ‘The Road to El Dorado’ – It’s Tradigital Gold! Episode 161: ‘Coco’ – Sweet Homemade Guitar! Episode 162: ‘The Polar Express’ – It’s a Water Baby! Episode 165: ‘Captain Underpants: The First Epic Movie’ – Potty Humor: It’s Evergreen! We want to say thank you for all your continued support over the years! The Animation Addicts Podcast is officially on hiatus. However, you should still stay subscribed because we may come back for the occasional one-off episode as our schedules permit.